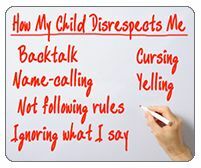 Here is a child behavior checklist to help you parent your kids. I know when I was a child, my parents would say. “Kids of today, they’re so different to when we were growing up”. They were right of course BUT, we weren’t rude, disrespectful, bad-mannered and insolent like some of the youngsters today. So why is this? Why are kids so disagreeable sometimes?